Hadeel Stall at PwC Event. Come early, the church fills quickly! 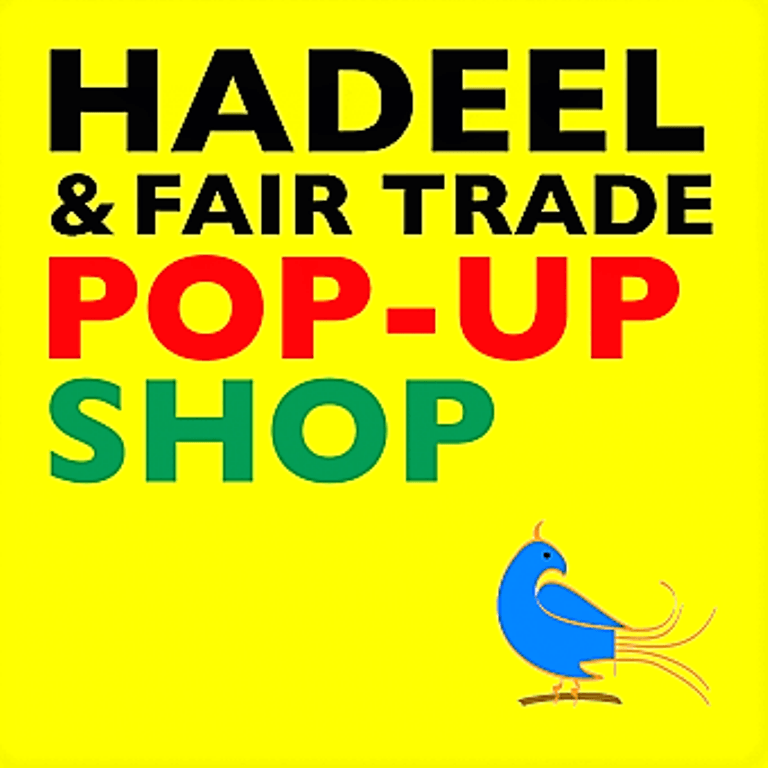 Today will feature the pop-up shop, with plenty of time to browse, plus a short presentation to kickoff Fair Trade Fortnight from a Scottish Fair Trade Forum representative at 11.30 … and of course, refreshments. 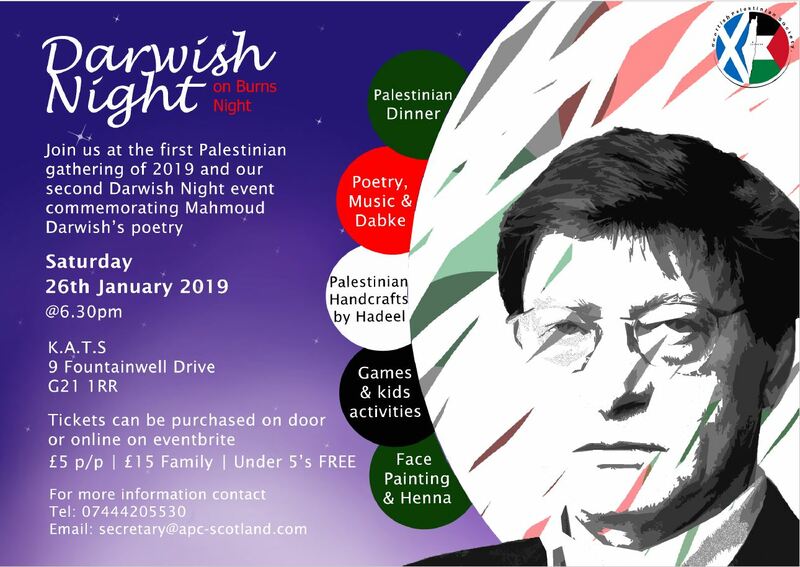 Come and join us to commemorate Land Day and celebrate Palestinian culture – with live music from the band Mawtini and readings/ translations of Palestinian poetry from Christine de Luca, former Edinburgh Makar, and Ishaq Abu-Arafeh. Enjoy home-made Palestinian finger food (included in entrance fee). 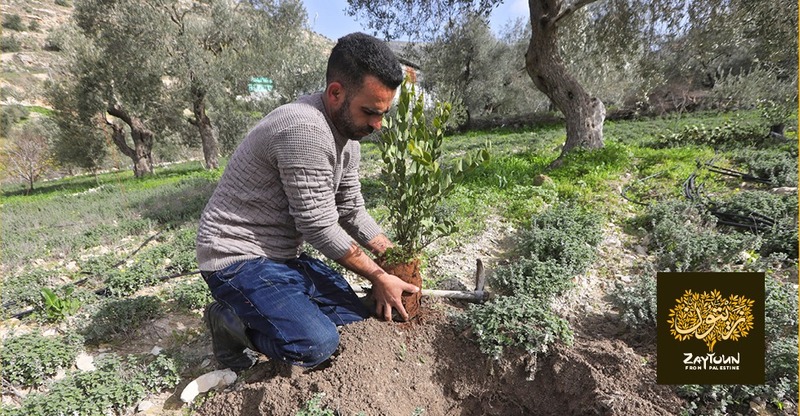 Learn about Land Day, commemorated in Palestine on 30 March, view a photography exhibition, browse a range of stalls run by Palestinian organisations, or take the opportunity to buy books, crafts and food from Palestine. The venue has wheelchair access, a lift and accessible toilets. 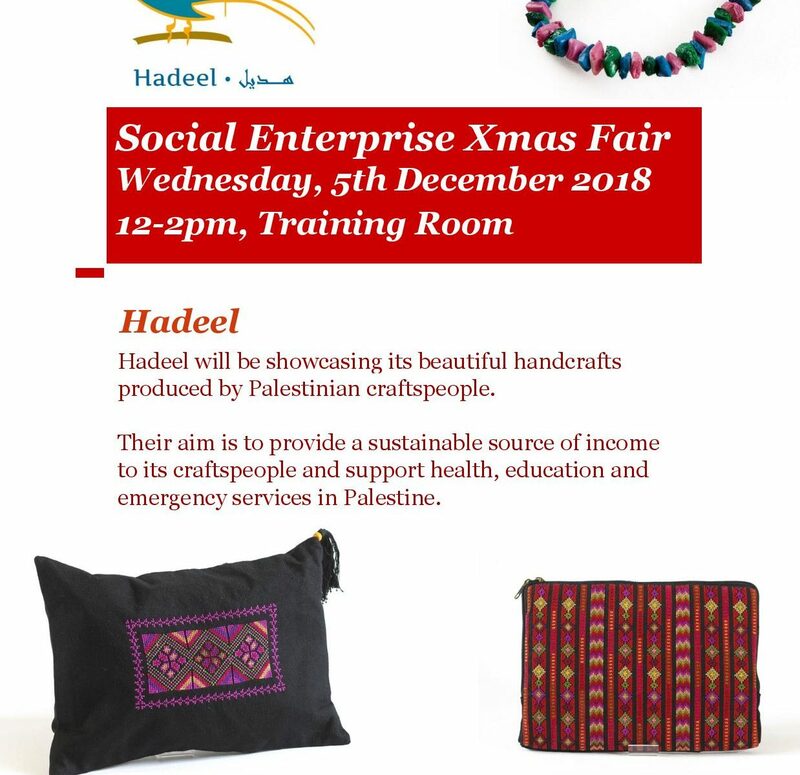 In aid of Hadeel Fair Trade Shop. 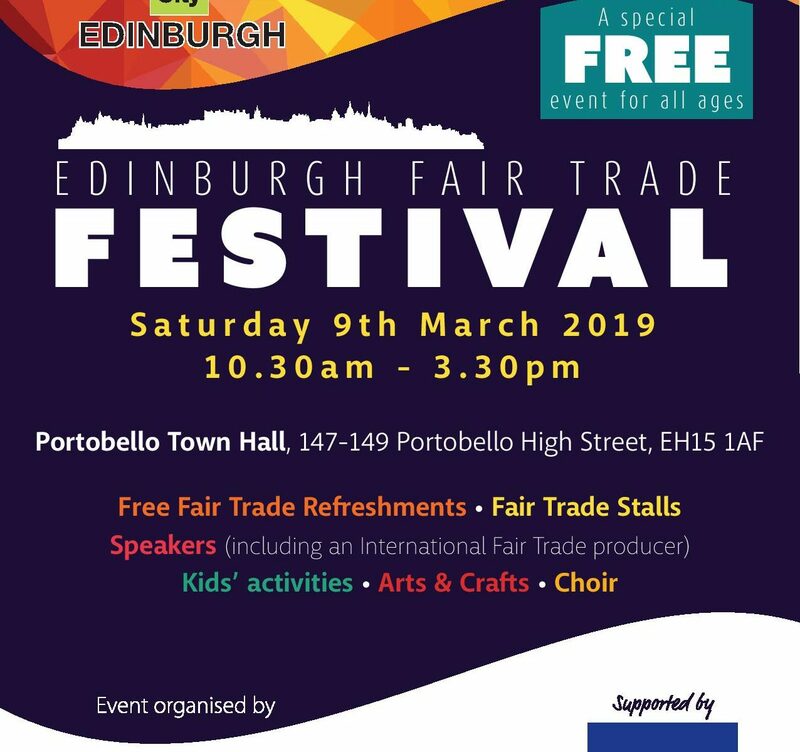 For more information about Edinburgh Fair Trade City, click here. Our friends at Greencity Wholefoods will be celebrating 10 years of Fair Trade Olive Oil with Zaytoun over a 3 course, supper style, meal. Fairtrade Fortnight, which this year runs from 25th February until 10th March, is a fantastic opportunity to highlight and commend the difference Fairtrade can make to lives and communities. At Greencity Wholefoods, sustainability, good working conditions and a fair supply chain are at the heart of our ethos, therefore, we have been longstanding supporters of Fairtrade going way back to 1984 with the first commercial distribution of Fairtrade coffee following a collaboration with Campaign Coffee Scotland. This very special supper will allow you to taste some of Zaytoun’s delicious ingredients and as well as a delicious meal, we will also have a very special visitor from Palestine. Khader Khader (pictured) is a farmer and board member of the Palestine Fair Trade Association. He produces Fairtrade olive oil from his family’s olive groves and now makes a sustainable livelihood, but that hasn’t always been the case. He spent 10 years working in a plastics factory in Israel before turning to farming. During the evening he will explain why he became a Fairtrade farmer and the importance of fair trade in his community, as well as talking about daily life in Palestine. For more information and to get your tickets click here.